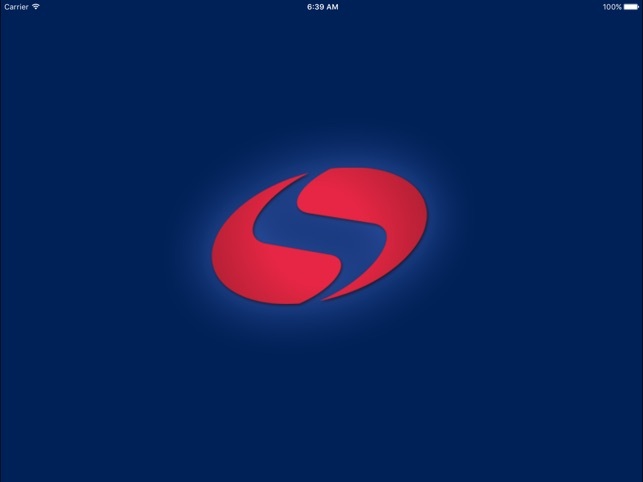 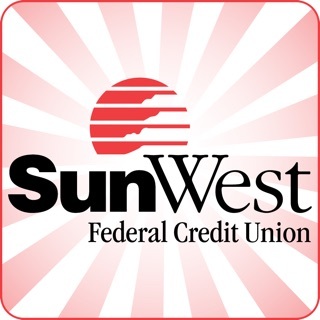 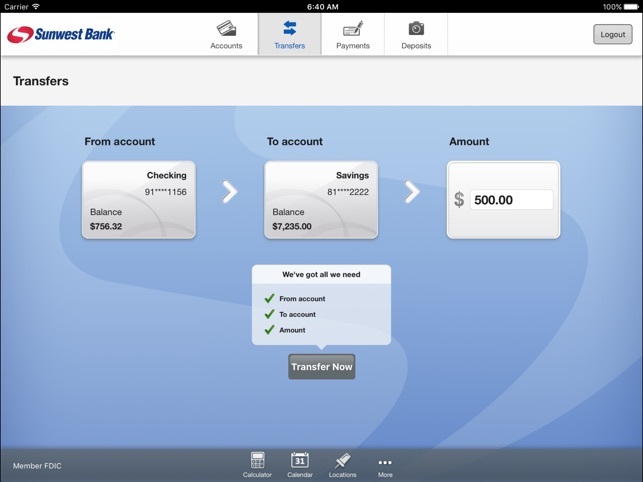 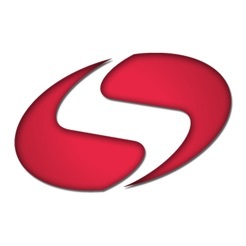 Manage your Sunwest Bank accounts with Sunwest Bank Mobile, optimized for iPad®. 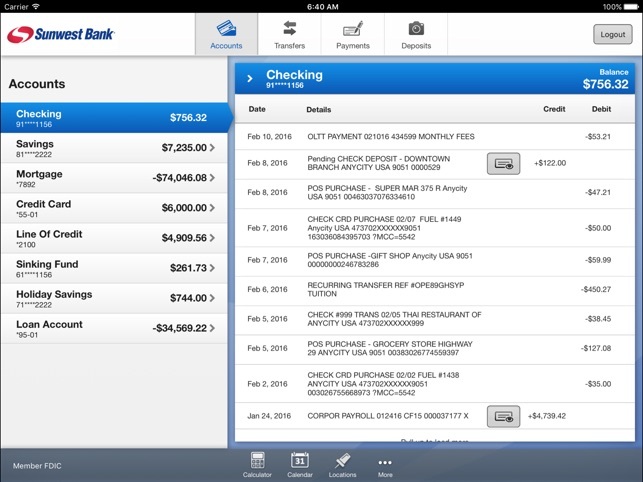 You can view your accounts, deposit checks, conduct transfers, pay bills and more! 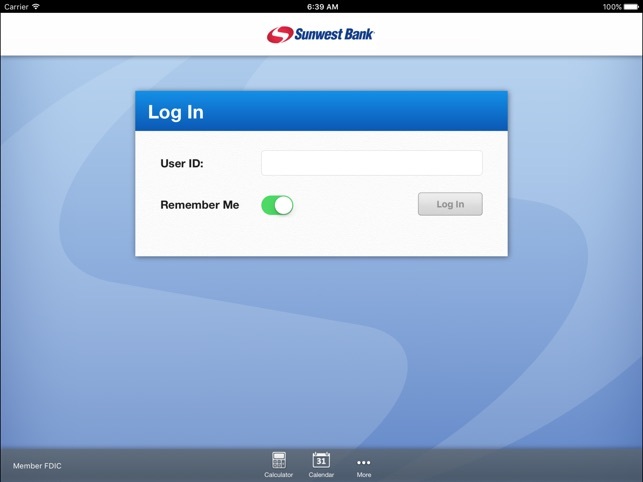 Sunwest Bank Mobile for iPad is secure and available 24/7 using your existing online banking username and password.